Verzendwijze: TNT Brievenbuspost (13,-- + 2,-- Porto-Verzendkosten). 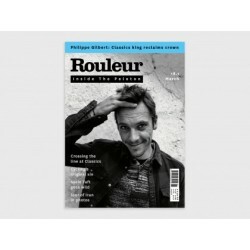 The last Belgian since Eddy Merckx to win the Tour of Flanders and Liège-Bastogne-Liège, Philippe Gilbert is a proper bike racer – and he’s not finished yet, as Ned Boulting discovers when meeting him at home in Monaco. Plus, a visit to forgotten Classics finish lines, cycling versus religion, WorldTour wild man Svein Tuft, Tour of Iran in photos, Dauphiné from the commissaire’s car, Philippa York and more. “I was always dreaming of the Classics.” Now Quick Step’s star wins them instead. 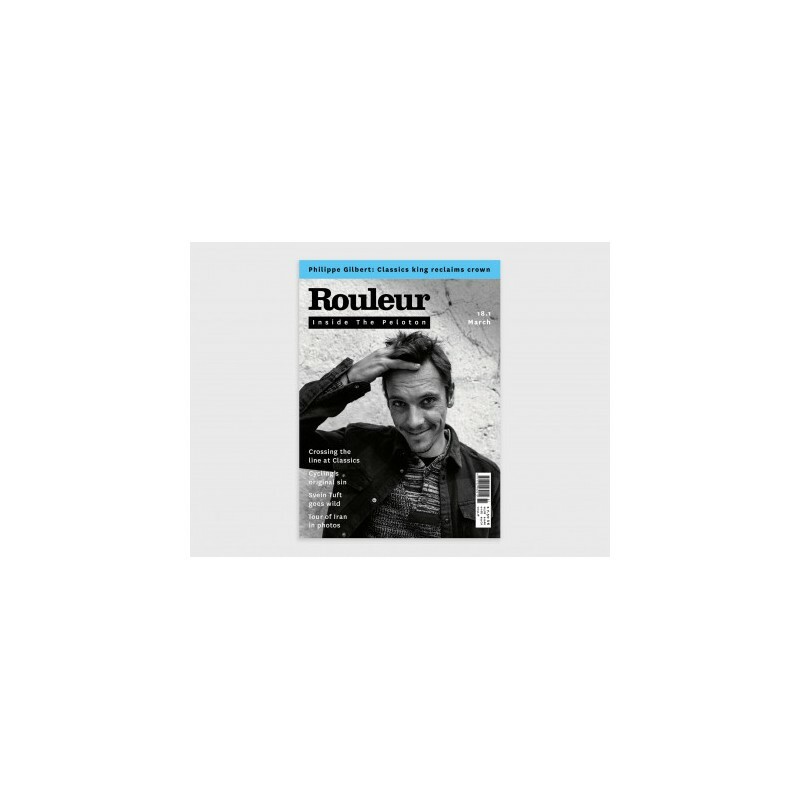 Ned Boulting heads to Monaco to meet Philippe Gilbert, the thrilling bike racer who is enjoying an Indian summer. Paul Maunder heads to a church with a difference in Flanders to look at the complex relationship between cycling and religion. 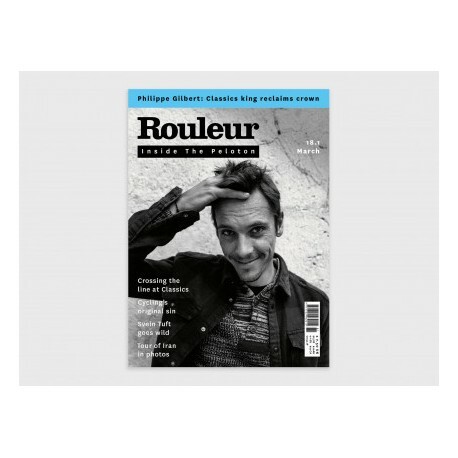 Also featuring: a tour of forgotten Classics finish lines, Tour of Iran in photos, riding shotgun with commissaire Guy Dobbelaere at the Dauphiné and beautiful bikes from the Rouleur Classic.